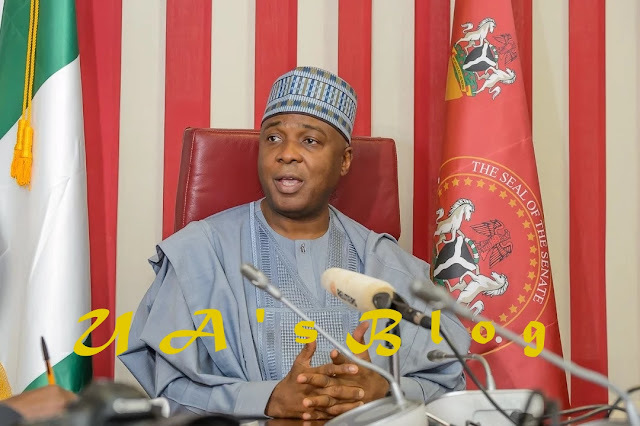 ABUJA-THE National Working Committee of the All Progressives Congress (APC) has queried the senate President, Bukola Saraki, asking him to respond within 48 hours why disciplinary action ought not to be taken against him for breaching article 21 of the constitution of the party. The party in a resolution signed by the National Secretary of the party, Mai Maila Buni, said the senate president had allegedly flouted the laws of the party with his activities. Some of the allegations raised against him includes that “you encouraged and facilitated by providing an enabling environment for the defection of some senators who are members of the APC to the other opposition Parties. “ that you used the office of the senate President to cause avoidable delays in the budgetary process and passage of the appropriation act into law thereby frustrating the implementation of the party’s manifesto and programs and frustrating the APC led Federal Government in the actualization of the campaign promises of the party. “Procuring joint letter of decampees from the APC and reading same on the floor of the senate including some who did not accede to defecting thereby causing embarrassment to the party. Inspite of the efforts to address grievances to reconcile aggrieved members, you worked against the process and encouraged the formation of an association which sought to impersonate and pass off the name of the party” it stated.